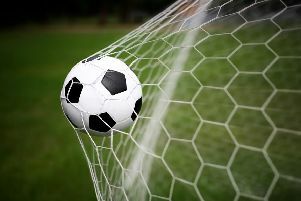 Chichester City were hit late as Zoe Rushen’s solitary goal was enough to see C&K Basildon win 1-0 in the FA Women’s Premier League Southern Division at Oaklands Park. Jenna Fowlie returned to the starting line-up for her final game in front of the Chichester faithful and Cherelle Khassal also featured. Khassal was caught offside in a great one-on-one position latching on to Lewry’s through-ball, the striker unlucky not to grab the opener. Another two cracks at goal for Chichester saw Widdows’ effort blocked outside the box and Lewry’s 25-yard strike held well by Nikita Runnacles. On the half-hour mark, Ellis Bloomfield blazed the ball over the goal which was closely followed by drama in the Chi box as Basildon were denied the opener. The Essex side saw a shot blocked on the line by Laura Ingram before Poppy Shine cleared. Chichester have one game remaining against league champions Charlton Athletic on Sunday. Heading towards half-time Shine was called into action again to deny Therese Addison. In the second half, Runnacles stayed calm in the box to collect a Collighan cross with Chloe Tucker and Lewry both looking dangerous. The 60th minute brought drama in the Chichester box as Basildon skipper Rushen fell to the floor but no penalty was given. City cleared the resulting scramble. Chloe Melton made her second appearance for Chi, coming on as a substitute following a spell on the sidelines and looking hungry up front with Natasha Stephens. Melton became provider for Khassal, whose pace and skill couldn’t see her beat the two defenders – and her shot went narrowly going wide. With time ticking down Chichester looked likely to take a share of the points but with seven minutes remaining the ball was bundled into their box. Rushen took on Cheshire and with her back to goal flicked it up and into the net. A final chance for Chichester came in the 89th minute as Khassal ended a stunning run with a great cross into the box – Melton shooting but not getting enough power on the shot. Chi City Ladies: Shine, Phelps, Cheshire, Tucker, Bloomfield (Barron), Lewry, Widdows (Melton), Fowlie, Collighan (Stephens), Ingram, Khassal. Unused subs: Wride, Walford.